loving sophie the giraffe • pulls mom's hair out • growing a mohawk • bears all weight on legs with little help with balance • puts pacifier in & out of her mouth on her own • doc says she has still has killer head control • learned how to belly laugh • dancing fan • conquered her first cold • visited mount tamalpais • celebrated her first thanksgiving • blows raspberries • sits up with little assistance • still hates tummy time • still adores bath time • likes to pretend to be a shark • found her voice, and likes to holler & babble • happiest, goofiest, most perfect girl around. 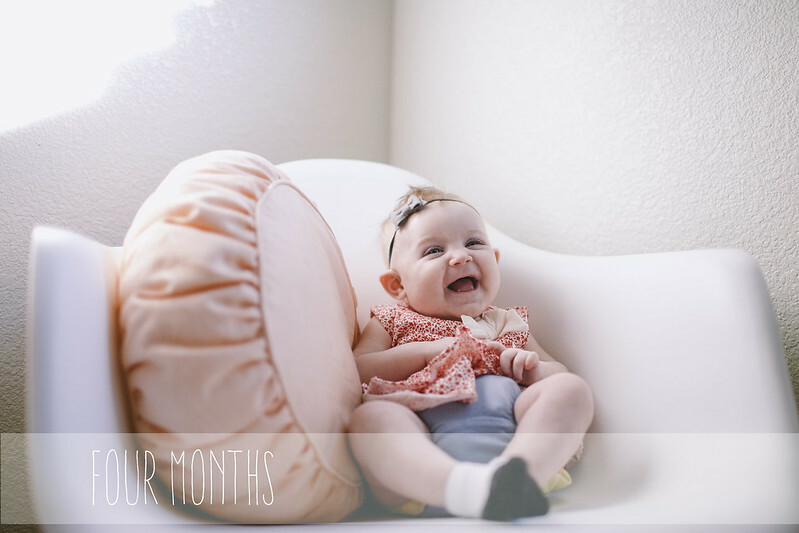 I cannot believe it's already been four months! She is such a doll!